My studio is mainly comprised of singers that are pursuing higher education in classical genres, post-graduates that sing in opera/musical theater avocationally and professionally, and recreational singers that want to improve the quality of their speaking and singing voice. Applied voice students receive invitations to attend Master of Music programs at New England Conservatory, Peabody, University of Texas, University of Minnesota and University of Tennessee. I am an alum of the 2013 NATS Intern Program and am Assistant Professor of Voice and Director of opera studies at Winthrop University in Rock Hill, SC. 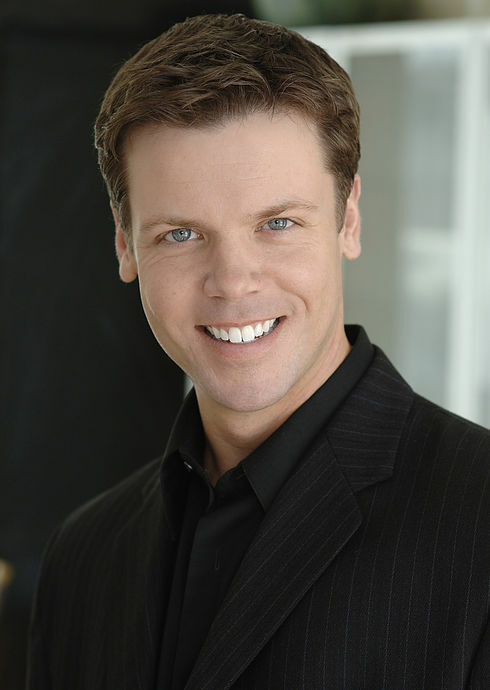 American baritone Jeffrey McEvoy is the newly appointed Director of Opera and Assistant Professor of Voice at Winthrop University of Rock Hill, South Carolina. As a performer of concert, musical theater, and operatic repertoire, he has received accolades for his performances of French and Italian baritone roles as well as dramatic interpretation of twentieth century music. Passionate about educating students about contemporary works as well as the integration of drama and music, Jeffrey is a strong supporter of American art song and operatic literature.â€‹Noteworthy milestones include engagements as a resident baritone artist with the Kansas City Lyric Opera, a studio artist position with Sarasota Opera and summer apprenticeships with both Lake George Opera and Des Moines Metro Opera. Jeffrey holds his Doctorate of Musical Arts in vocal performance from the University of Kansas, Master of Music in Opera from Wichita State University and Bachelor of Arts in music as well as Bachelor of Science in Biology from John Brown University. A winner of numerous competitions, he has been a Kansas City district winner and Regional finalist in the Metropolitan Opera National Council Auditions and first place winner in the Midwest District of the National Association of Teachers of Singing competition in both the Graduate and Senior Men divisions. Highlights of previous seasons include contracts with regional companies such as Connecticut Opera, Opera Boston, Commonwealth Opera, Kansas City Lyric Opera, Sarasota Opera, Lake George Opera, Glens Falls Symphony, Hartford Opera Theater, Newbury Choral Society, Nashua Choral Society, Boston Opera Collaborative and Boston’s OperaHub.â€‹Prior to Jeffrey’s appointment to Winthrop University he taught at the University of Connecticut, the University of Kansas, Wichita State University, Boston’s Walnut Hill School of the Arts, and the Tanglewood Institute in Lenox, MA. During the summer, Jeffrey serves on the professional staff at the Seagle Music Colony in Schroon Lake, NY as stage director. Functional training of the voice works to eliminate the misunderstood and over-cultured sound of today's classical genre. It encourages the voice to find flexibility, pure tone, range and release of the true old italian school teachers.